AXIA Client Advisory services equip your organization with the tools needed to navigate your critical projects, IT challenges and organizational changes. Whether your needs are local or global, we take the time to understand the intricacies of your organization and apply our industry-focused approach to your specific needs. With a deep understanding of business and technology, our senior consultants work seamlessly with you and your team to understand your environment and deliver high-impact results. All of our consultants have extensive experience delivering solutions for complex challenges in every area of business, from program management to post merger integration and enterprise data management. As a consulting firm without the hype, we are dedicated to providing meaningful results to boost your bottom line and maximize your investments. The pace of technology has accelerated greatly in the past ten years, impacting the way we live and how our organizations function. 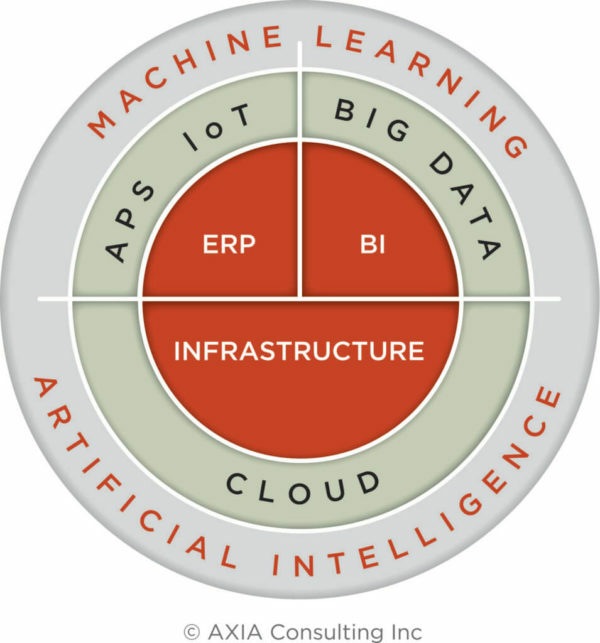 Artificial Intelligence, the Internet of Things (IoT), Big Data and Cloud Computing are poised to enable a transformation of the business world as we know it. This next wave of technology is rapidly approaching, and will inevitably reorganize the way our companies work and deliver services, internally and externally. Executives who embrace this next phase of advancement and ready their people, processes and technology will survive and thrive. Those that don’t put their businesses at risk.